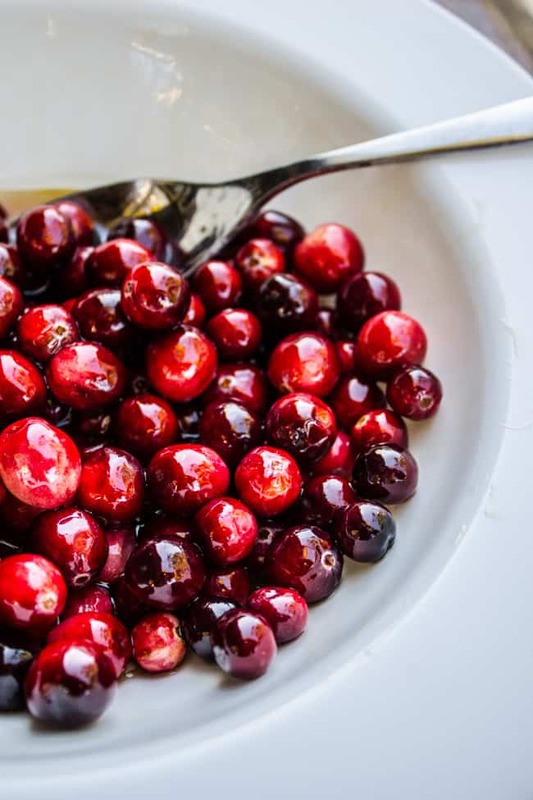 These gorgeous, sparkling cranberries are the perfect appetizer or dessert garnish for Thanksgiving and Christmas! You don’t even have to make your own simple syrup (and risk popping your cranberries). 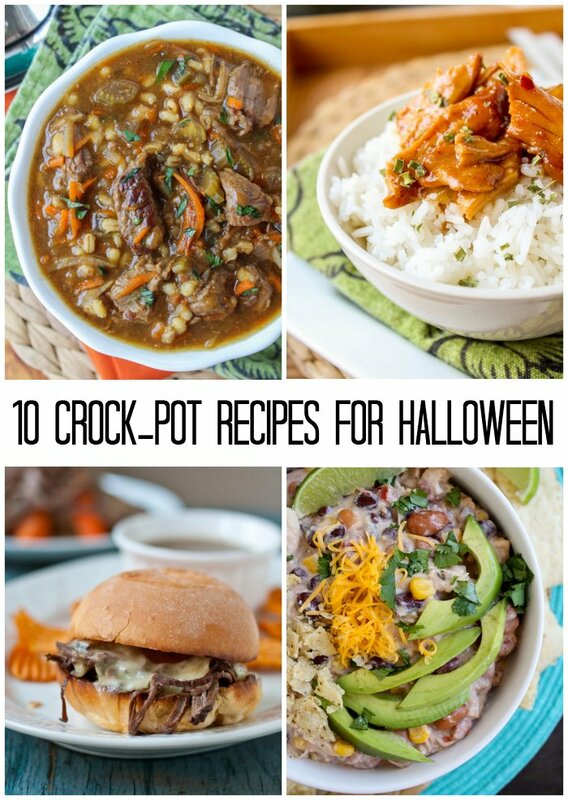 This recipe is totally foolproof. I was on TV last Friday! And no one ridiculed my eyebrows! At least not to my face. Which is all you can really hope for in life, right? Really, I don’t know how Eric could show his love for me more. When there is a choice between Karen and Star Wars, he will pick me every time. True love, guys. So! 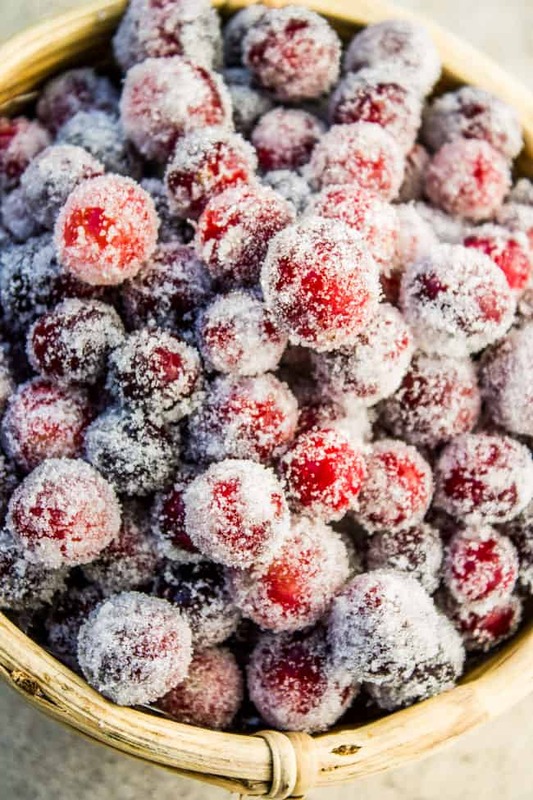 Sugared Cranberries! I topped the Cranberry Custard Pie that I posted last week (and the pie in the video) with these babies, and let me tell you, they are amazing. 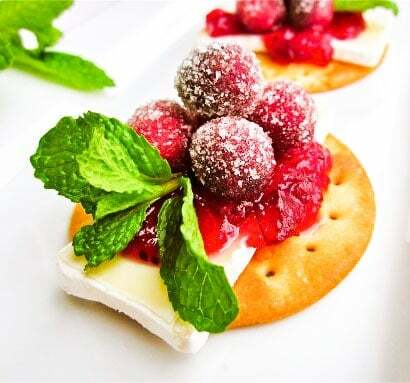 The first time I tried these was a few years ago when I made these Sparkling Cranberry Brie Bites, which is sugared cranberries, brie, and cranberry sauce on a cracker. Soooo good. 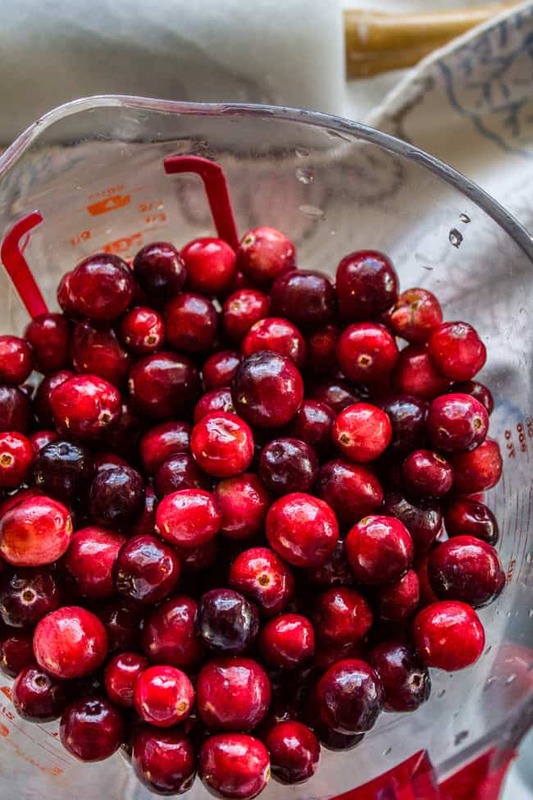 These cranberries are perfect as an appetizer or as a garnish to basically any holiday dessert. Or just as a snack all by themselves. Leave them on the counter and they will be gone in like a day and a half max. They are the perfect combination of tart and sweet. 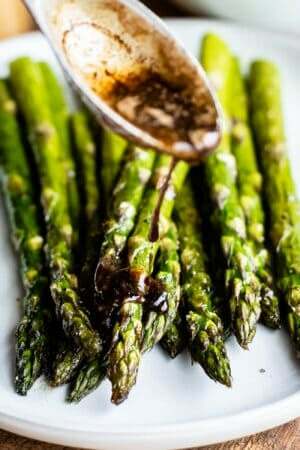 These would be a great addition to a cheese tray, or paired with candied nuts! Most recipes that I’ve seen call for making your own simple syrup. If you are not careful, you can pop the cranberries when you add them to the too-hot syrup. Instead I soak mine in maple syrup. SO much easier! Either way you will have to soak them overnight. I tried it with the soak and without, just to make sure it was necessary, and unfortunately it is. The cranberries soak up the sugar from the syrup. Without the soak, they are edible but still too tart for me. After the soak they turn out perfectly sweet, with an awesome crunch from the sugar. Try these! Rinse the cranberries, discarding any that have become soft. In a tupperware with a lid, stir together the cranberries and maple syrup. Cover and refrigerate overnight, or 6-8 hours. Spread the sugar onto a rimmed baking sheet. Working in 2-3 batches, roll the drained cranberries in the sugar. Kids love this part! I love this part! Lick your fingers! Let the cranberries dry out on the pan, or you can put them on a cooking rack so they get really crisp. Make sure none of them are touching each other. Let them dry out for at least an hour, the more the better. Putting the pan in the fridge speeds this up. Store the cranberries uncovered on a pan or shallow dish. If you cover them or let them touch each other, they will get soggy. If you want to give these away as a hostess or neighbor gift, I recommend layering them in a tin lined with parchment paper. Put another layer of parchment on top before adding a second layer. Tell the recipient to uncover the tin as soon as possible. Roll cranberries 3-4 at a time so that there is no chance of the sugar clumping. Whirl your sugar in a food processor for a minute to make it superfine, or find some superfine (sometimes called caster or baking sugar) at the store. This will make it super sparkly! 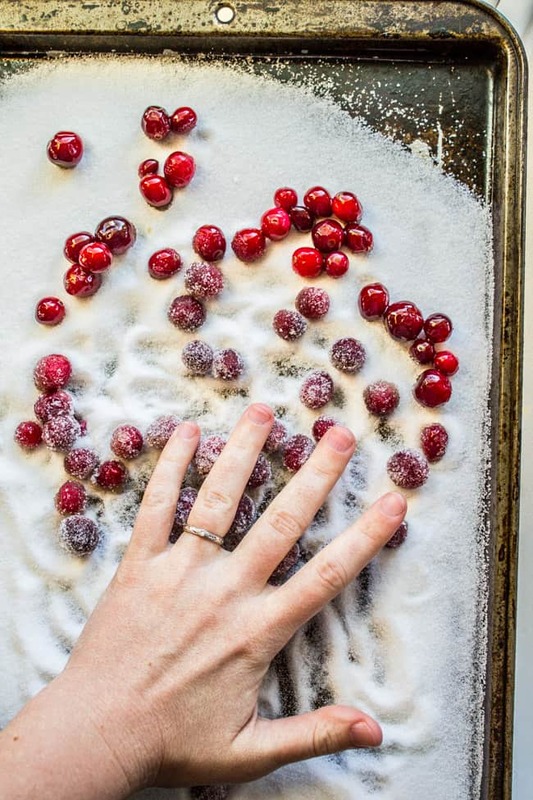 Add a few teaspoons of orange zest to the sugar that you roll the cranberries in. Add a slice or two of fresh ginger to the syrup and let it soak overnight, stirring a couple times if possible. 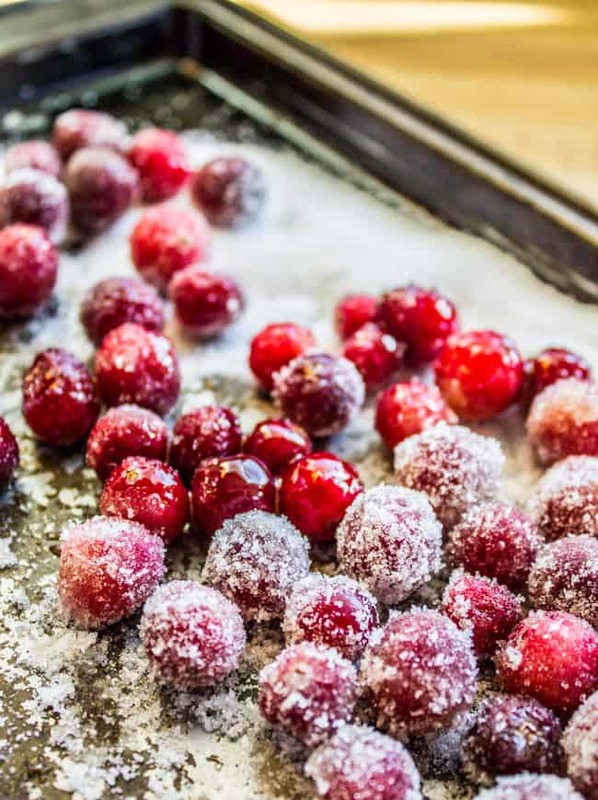 Here are some ideas for what to do with Sugared Cranberries! 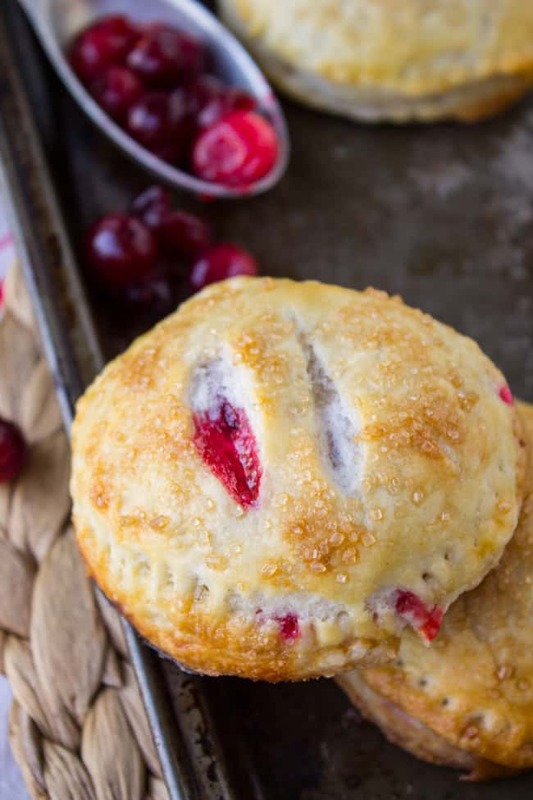 Sparkling Cranberry Brie Bites: <<if you only make one appetizer this holiday season, make this one! Everyone will say ooooh aaaah. Sub cream cheese, blue cheese, goat cheese….any soft cheese will do. 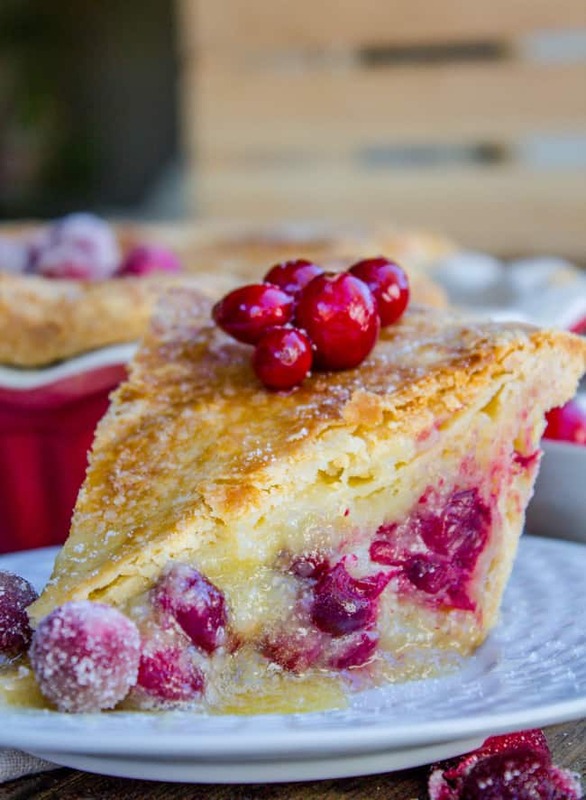 And if you only make one pie this holiday season…make this Cranberry Custard Pie!! It’s the one I made on-air in the clip above. So good guys! 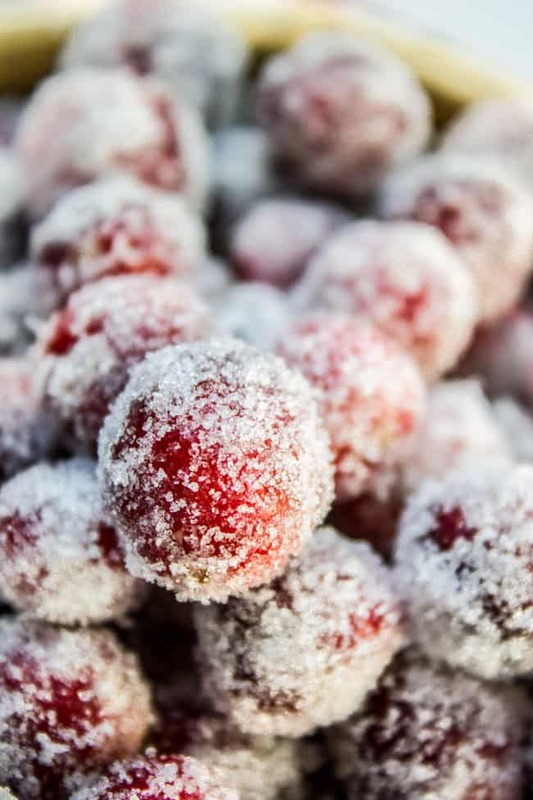 More recipes you can use sugared cranberries with! So hey, if you’re still tracking this thread, I have a question: Do you use pure maple syrup? 1.5 cups is a lot of syrup, and the pure stuff is pretty expensivo, so I just wondered if a person could substitute the cheap stuff. Thanks! Hey Alice! 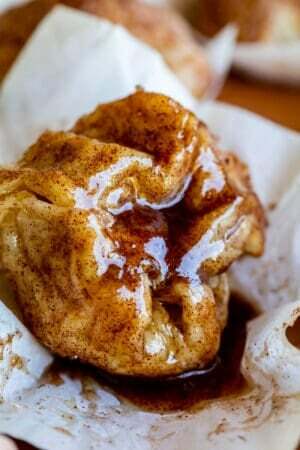 I did use pure maple syrup but the cheap stuff will tooootally work for this recipe. You’re just getting some sugar infused in those berries and any kind of syrup will work. Enjoy! I made these to top our cranberry-orange jello shots for Thanksgiving…and then ate all of the leftover sugared cranberries. These are amazing and easy. Everyone raved about them. Thanks for the recipe! Awesome Caryn!! What a fun idea to put them on shots! You totally rocked your TV debut and gosh, more than Star Wars?? I doubt Chris would be able to say the same should the situation be reversed :) These cranberries are essential to every holiday celebration. 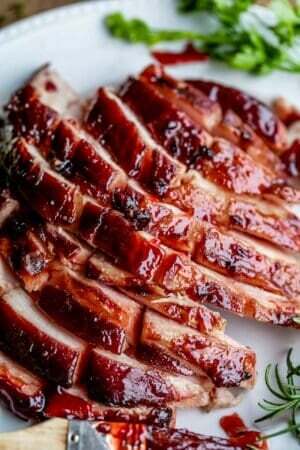 You can also do this with honey and corn syrup – just gorgeous! AWWWW!! You are TOTALLY a natural Karen!! I’m so glad you got your chance to be on TV! One day when you’re big and famous, I’m going to say,”I knew her when…” And hope that you’ll feed me the leftovers after you film your segments. ;) The anchor is definitely right — you are such an amazing storyteller! You always have me in stitches! You’re hilarious! 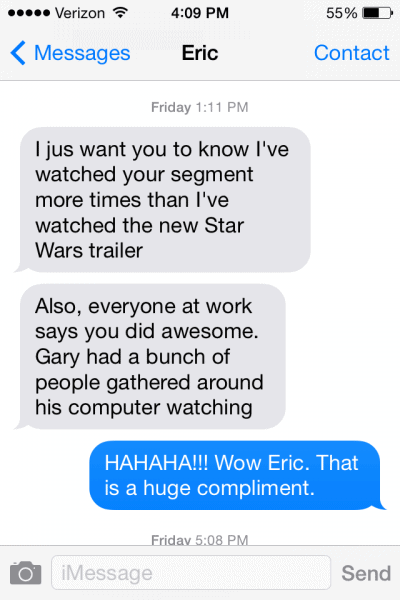 And so is Eric… That’s the sweetest thing ever for him to say he watched YOU more than the Star Wars trailor! True, unconditional love right there. Karen, that is SO awesome that you got on TV! ! You are such a natural! Definitely keeping this recipe handy for the holidays!! Thank you Lisa! It was super fun, I’m sure someday you will get the chance! And you will rock it. Aww, you’re too sweet, Karen! 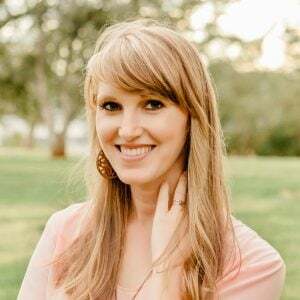 You were great – the camera loves you! Also, anything coated in sugar is a home run. You did great on TV, total natural!! 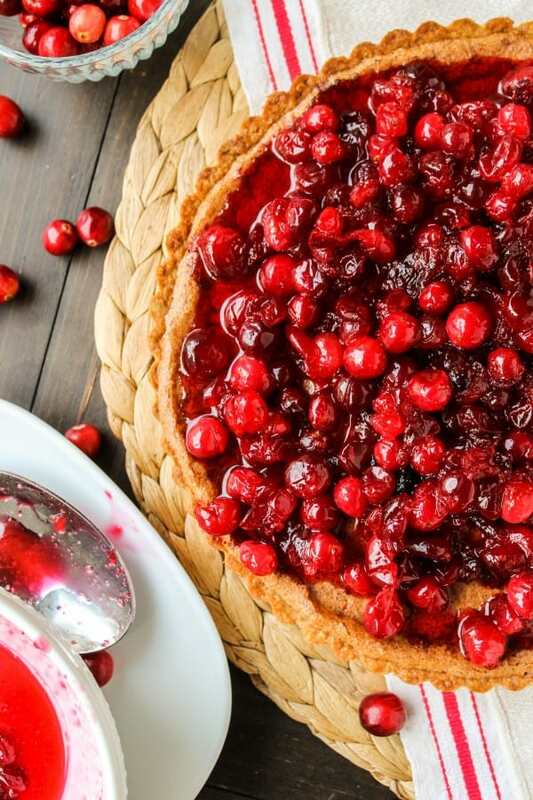 I was hoping you would show how to make these cranberries, because they are so pretty!! I would never guessed that they needed to be soaked. Thanks!! I totally agree Heather! Bring on the cheese! 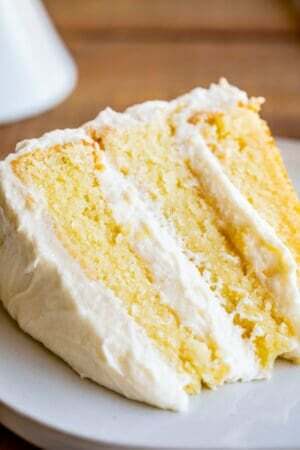 This looks so sweet and yummy! And congratulations on the TV spot, how fun! These are gorgeous, and they look so delicious!